ISLAMABAD: National Accountability Bureau (NAB) Chairman Justice (r) Javed Iqbal on Sunday said that the anti-graft watchdog has signed a memorandum of understanding (MoU) with China to oversee China-Pakistan Economic Corridor (CPEC) projects being completed in Pakistan. He said that NAB is committed to rooting out corruption in all its forms and manifestations across the board with iron hands. He said that NAB has established a state-of-the-art forensic science lab in Islamabad which has facilities of digital forensics, questioned documents and fingerprint analysis which will be utilised for further improvements in the quality of inquiries and investigations. 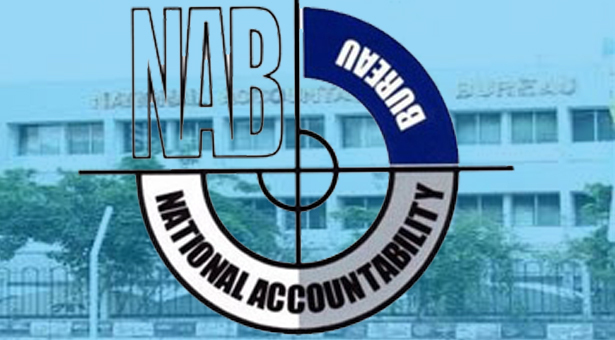 The NAB chief said that due to the prescribed timeline of 10 months for efficient, effective and expeditious disposal of cases from complaint verification-to-inquiry-to-investigation and finally to a reference in the accountability court, NAB has filed 440 corruption references from October 2017 to September 2018 which is a record achievement. He said that Transparency International (TI), PILDAT, Mishal, Gillani and Gallop survey and World Economic Forum have appreciated NAB’s efforts in the eradication of corruption. NAB, in a very short span of time, has established over 50,000 character-building societies in universities/colleges to create awareness against corruption which has proved very successful and now the young generation is aware of the ill effects of corruption and has joined hands with NAB to eradicate corruption from the country. On September 25, Pakistan and China inked a MoU to work jointly for ensuring transparency in CPEC. Justice (r) Iqbal had said that NAB is playing a vital role in recovering looted money from culprits, adding that since October 2017, the organisation had recovered billions of rupees. On July 10, the NAB chief had said that the bureau would continue to play its role for saving CPEC and other important development projects from corruption. Presiding over a meeting of Balochistan NAB, he had said that development of Balochistan was a guarantee of Pakistan’s development and prosperity. During the meeting, Justice (r) Iqbal was briefed on the performance of Balochistan NAB. The meeting had also discussed various issues regarding action against corruption in the province. Justice (r) Iqbal had said that CPEC had not only great importance for the development and prosperity of Pakistan, but it was also a game-changer project for the entire region. He had said that NAB was playing its due role in eliminating corruption from the country and would continue to do so.